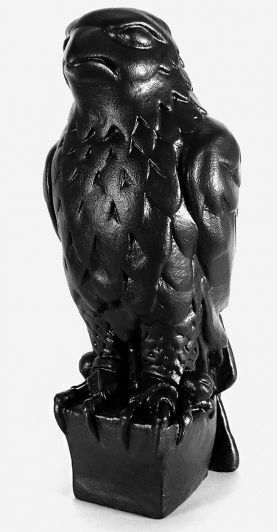 The 1941 Maltese Falcon - Our replica of the Original 1941 Maltese Falcon Statue is an exclusive from The Haunted Studios™. Cast in reinforced, rock hard foam filled polyurethane resin with a weighted base for stability, our Falcon comes with a life time warranty against chips, cracks, or breakage. 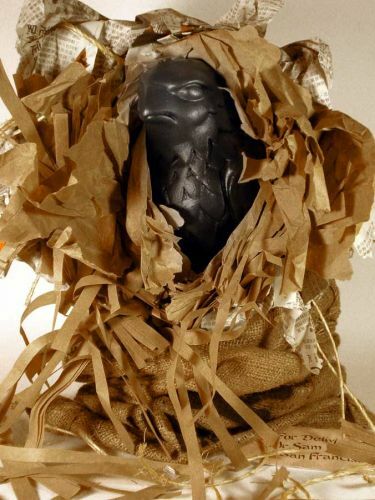 Select the 10, 20, 25, or 30 pound heavyweight option - Our Haunted Studios 55th Anniversary Edition, a heavyweight solid lead filled polyurethane resin statue with a minimum shipping weight of 10, 20, or 30 pounds, this is the Falcon by which all others are judged. We use 100 percent recycled lead in all of our heavyweight Falcons, fully encapsulated in resin for ultimate safety. 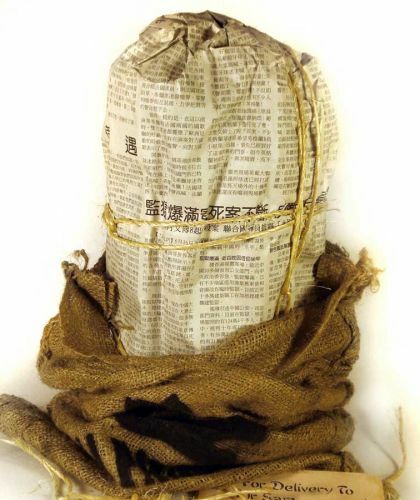 Add our Sea Bag and Chinese newspaper wrapped Gift Presentation option - Give the memory of a lifetime; opening the bag, removing the twine, tearing the Chinese newspaper from around the Falcon. These are the memories that dreams are made of, so take your gift to the ultimate level with our complete package option. This replica of the Original 1941 Maltese Falcon Statue is an exclusive, only available from The Haunted Studios™ - Cast in reinforced, rock hard foam filled polyurethane resin with a weighted base for stability, our Falcon comes with a life time warranty against chips, cracks, or breakage. Not just painted, but cast in black polyurethane resin with a special protective clear top coat that may be safely displayed indoors or out. 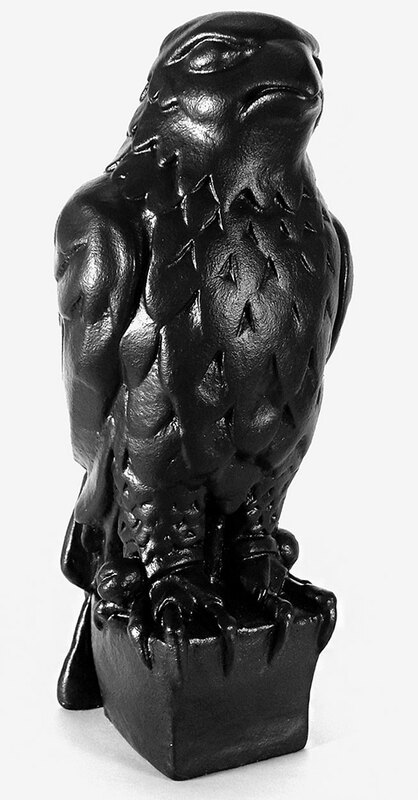 Being made of reinforced, hardened resin our Falcon will not easily chip or break and is truly a forever collectible. The Haunted Studios™ 1941 Maltese Falcon Statuette stands just under 12 inches tall, is hand cast in our exclusive reinforced resin casting compound with a shipping weight of 5 pounds for our standard weight Falcon. Choose the heavyweight option for your very own "ultimate" Falcon. All Haunted Studios™ Maltese Falcons are made in the USA - We use only American made component materials and our Falcon has stood proudly as an iconic American Made classic for over 55 years. Shipped way faster than estimated, 1941 Falcon is amazing and exactly as described! What a great gift, John loved it and it now rests on his bookshelf! 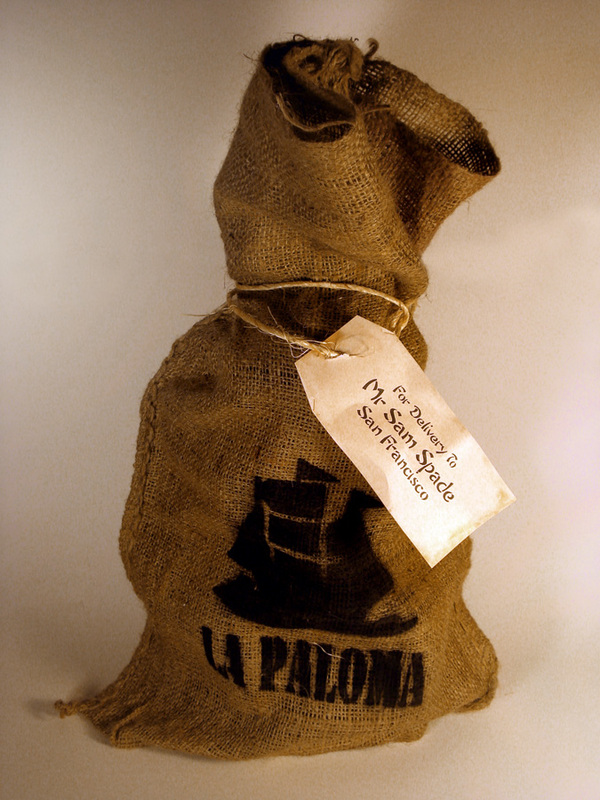 quick shipment, item arrived well packaged and as described - haunted studios is the only source for the 1941 falcon - get it with lead filling for a real treat! I absolutely love it! It is fantastic and I feel I have the real one! This is the Christmas gift that I bought for myself! Made it to the UK in record time. The Haunted Studios' is the ONLY Maltese Falcon this side of Bogie.